With 56 new businesses soon to make Steel Yard their new home in late October, Exposed went down to the site to find out what the latest chapter in Sheffield’s urban regeneration project has to offer. The development on Bardwell road will consist of 56 independent businesses housed in stacked shipping containers around a central open space. And if you think this all sounds very familiar, then you’d be right. 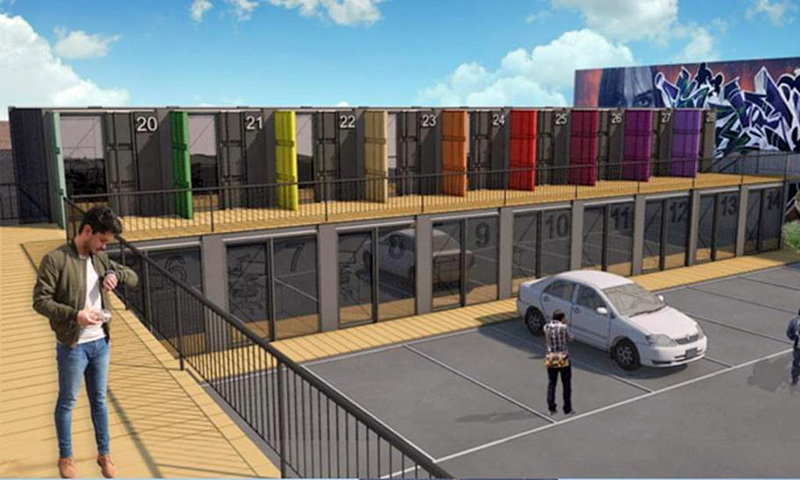 MyContainer, the company behind the plans, have already opened one container-based development, Krynkl, in Shalesmoor back in 2016. But Steel Yard is hoping to offer something new and much needed in the area. So along with a bistro, yoga studios and a tattoo parlour, you can expect the kind of useful services that could transform the area from cool evening spot to a place where people can live and work. Click here to read the full Steel Yard article.